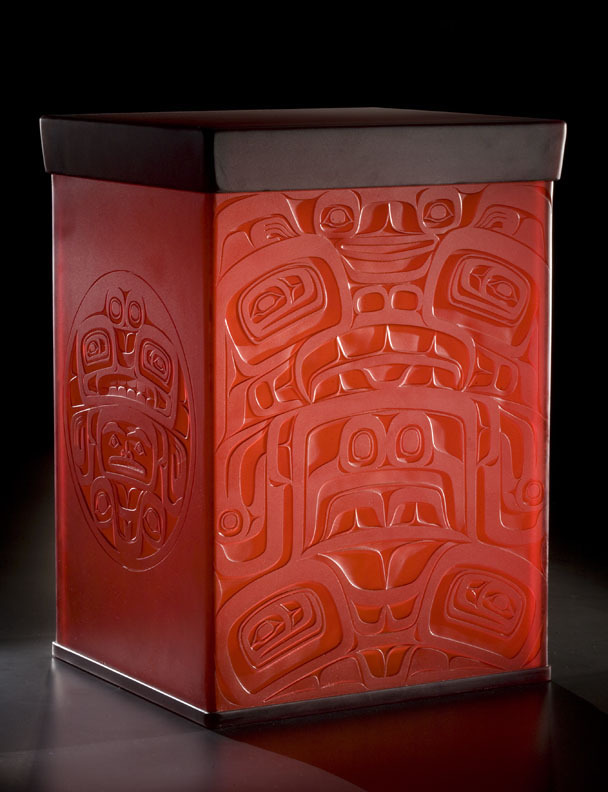 A recognized leader in Native American art, Preston Singletary has expanded his blown glass repertoire to include works created in the kiln. 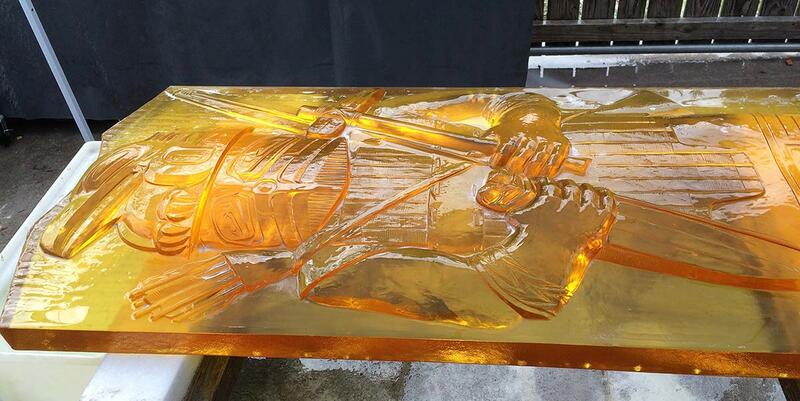 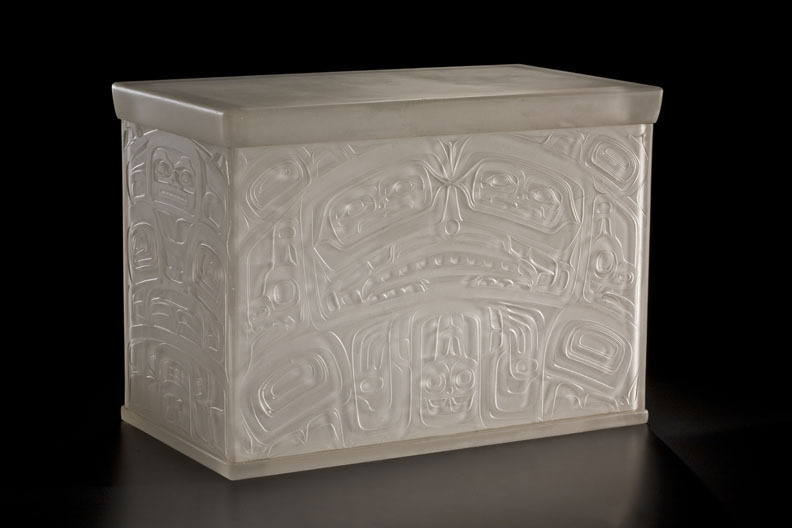 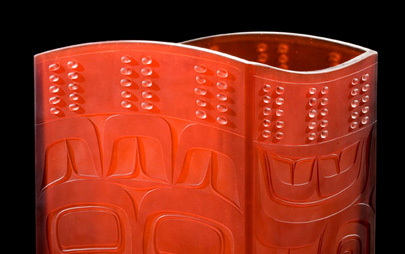 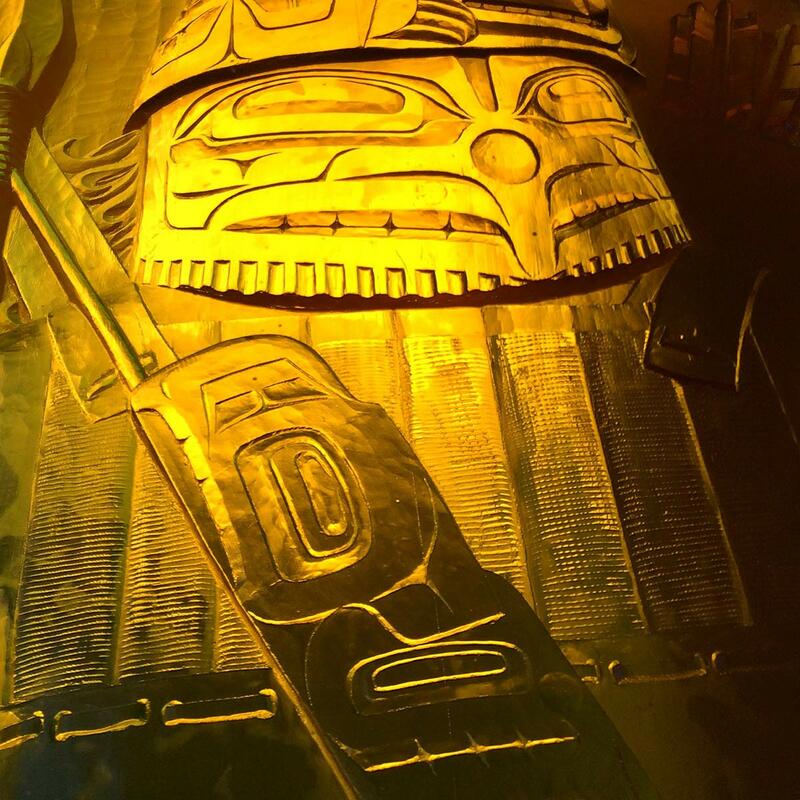 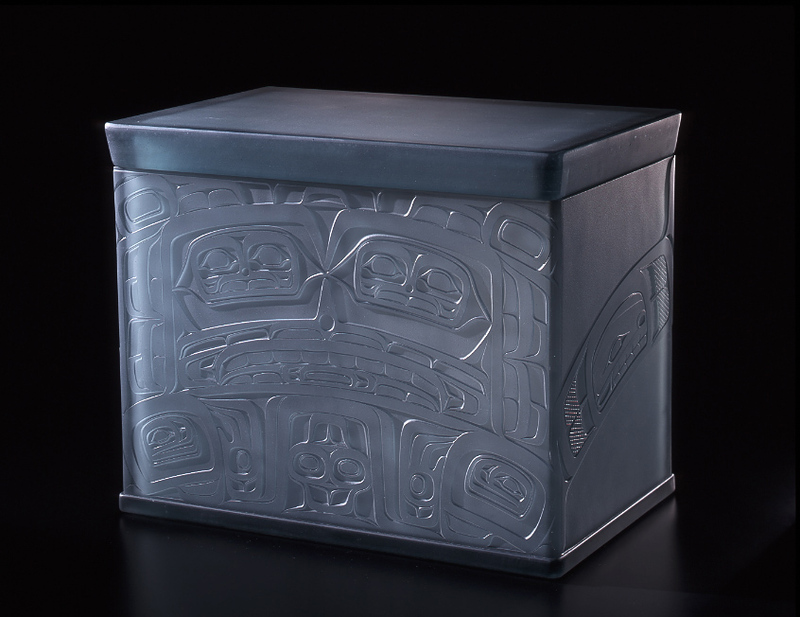 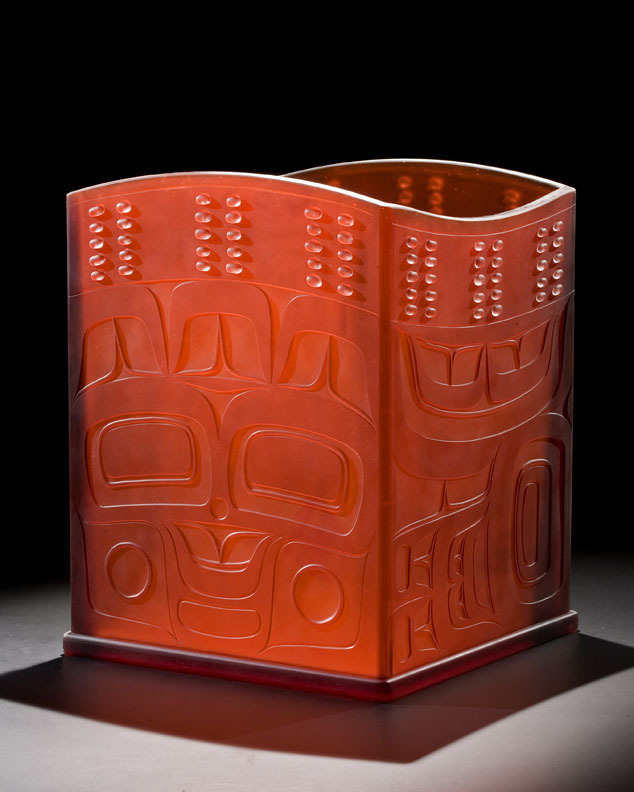 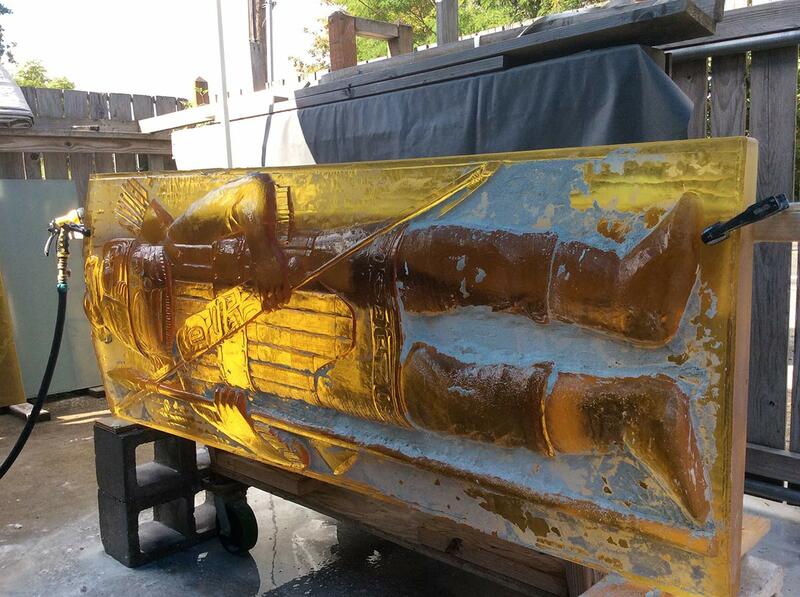 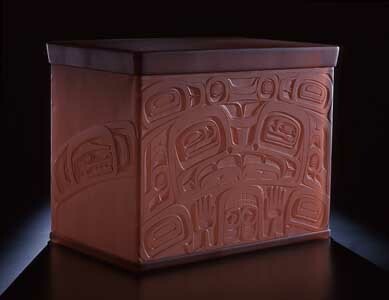 His demanding ideas have pushed Fireart to develop new techniques and processes resulting in artwork that celebrates the transformational nature of glass within the context of his native Northwest Tlingit heritage. 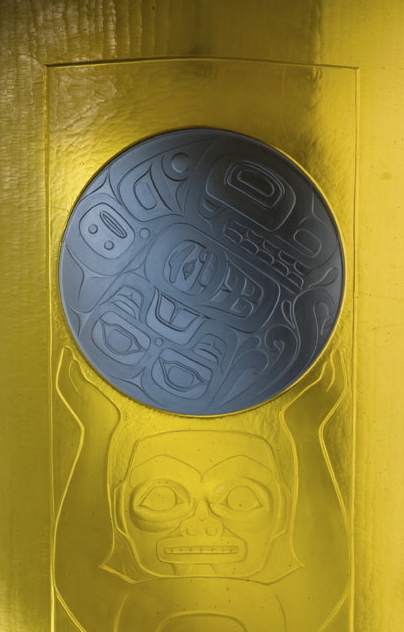 Dimensions: 18" x 14" x 25"
Preston Singletary's blown and cast glass art imagery is rooted in his native northwest Tlingit heritage. 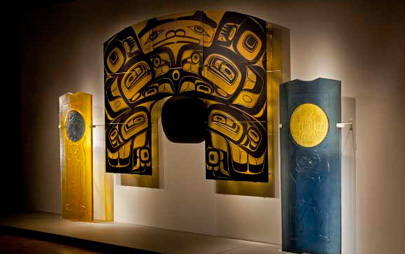 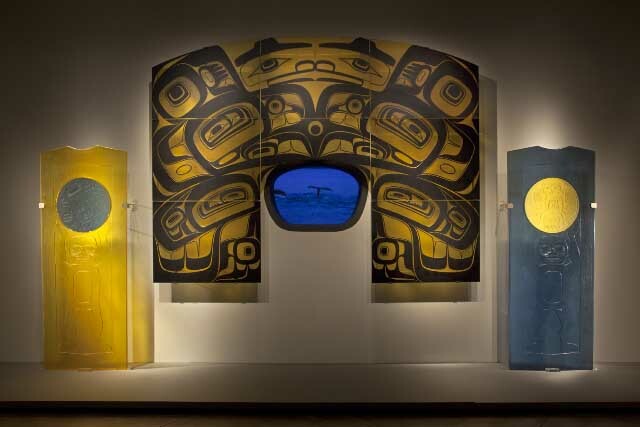 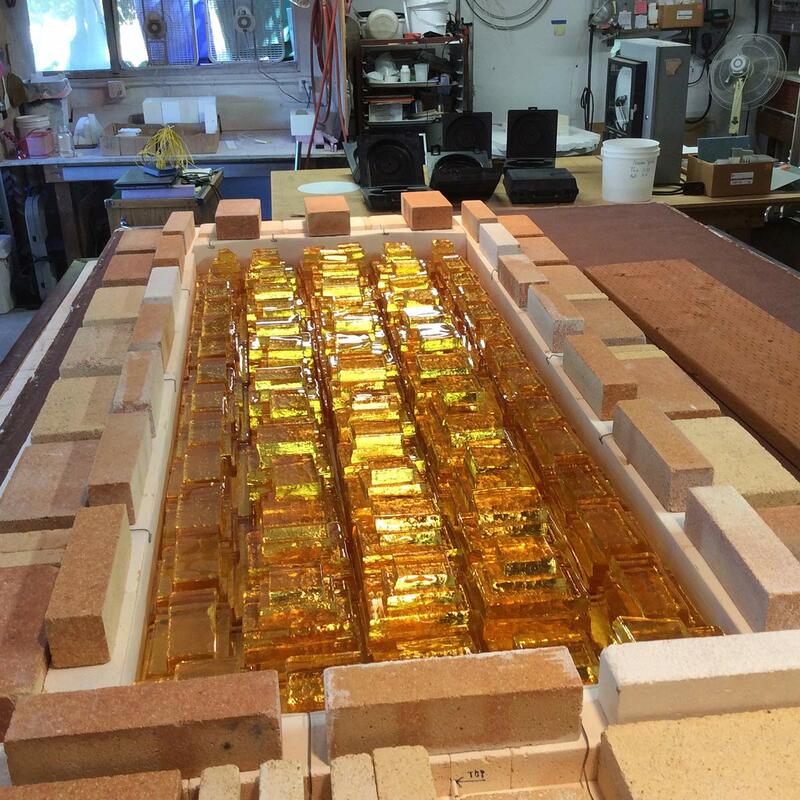 This triptych, Clan House, was commissioned by the Museum of Glass in Tacoma, Washington, and is Singletar's most ambitious work to date. 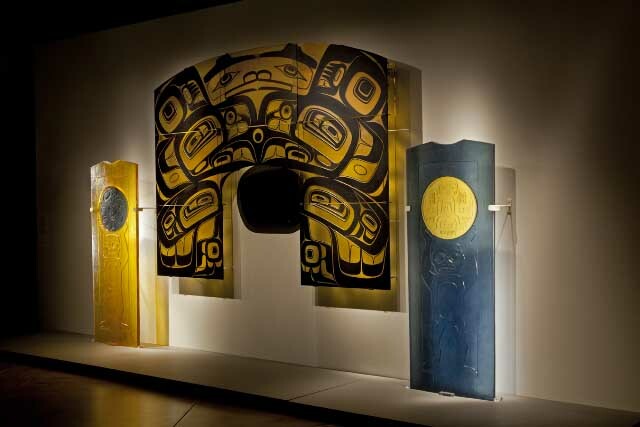 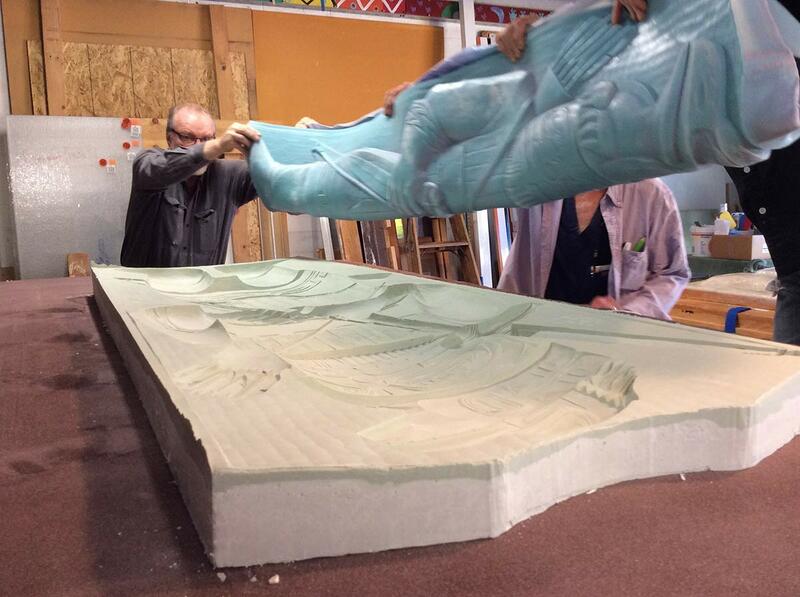 It is composed of an eight-part screen displayed between two bas-relief posts with inserts. 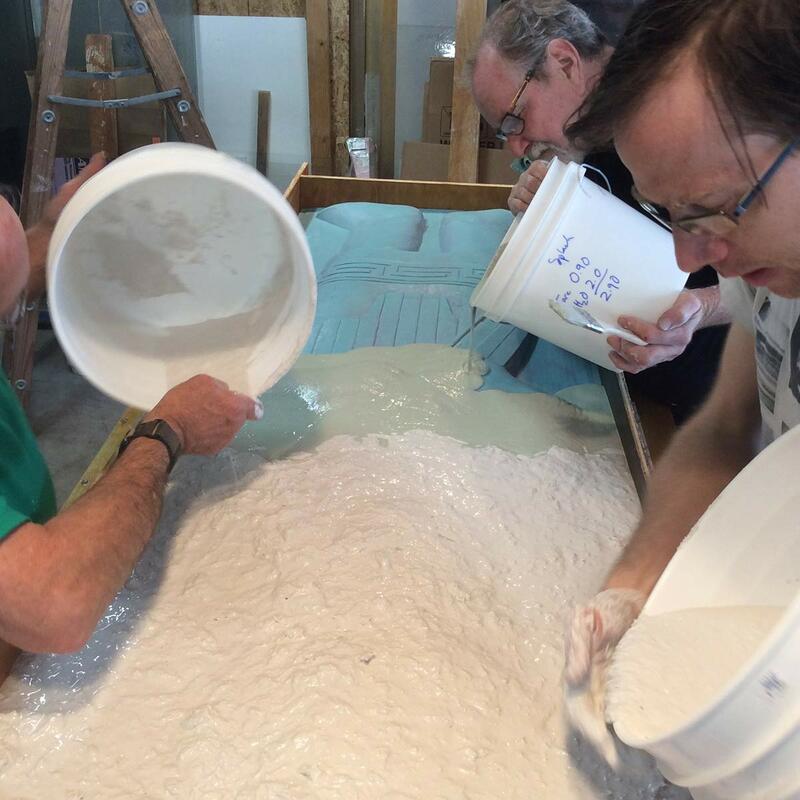 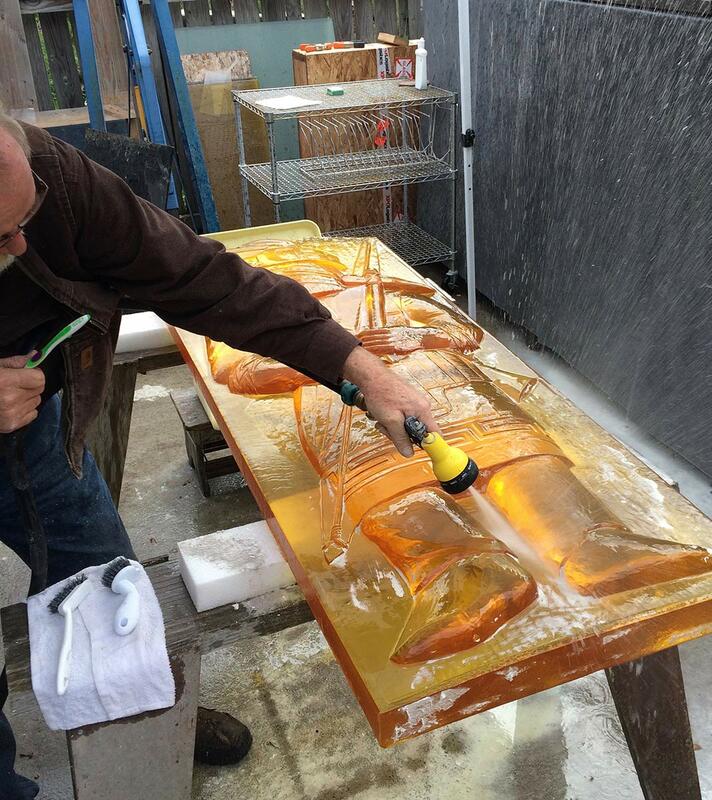 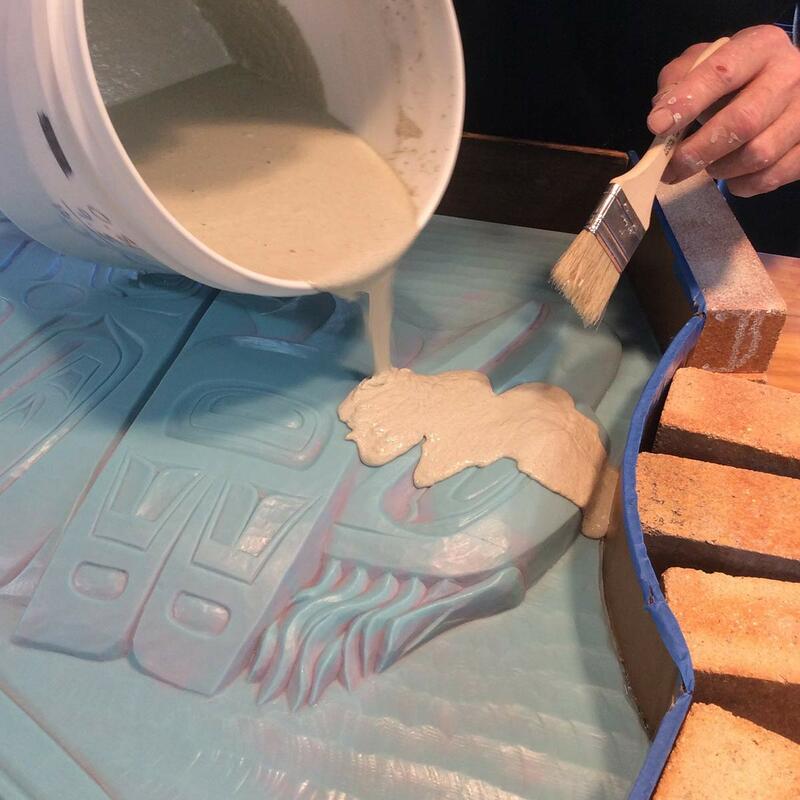 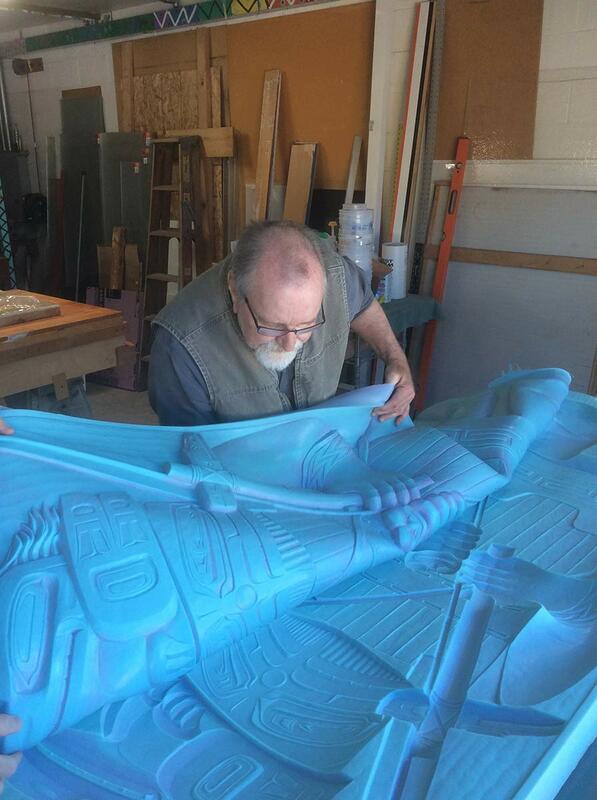 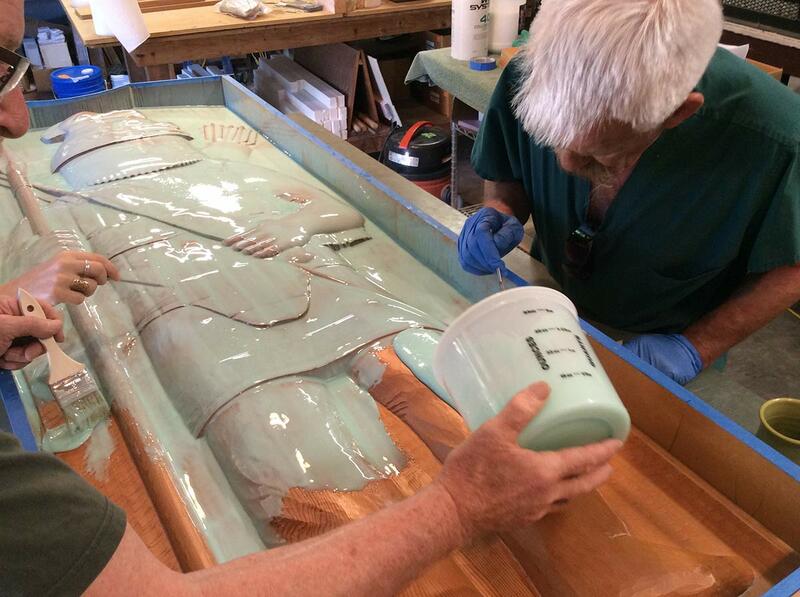 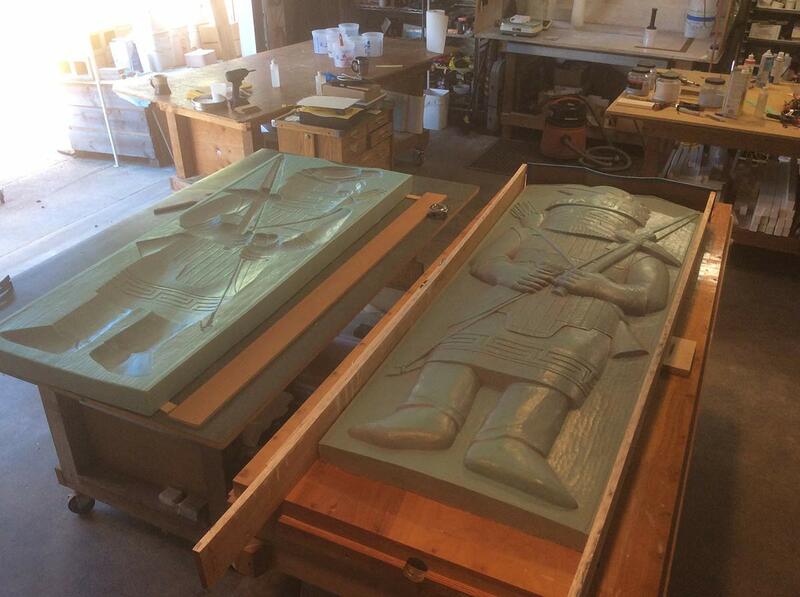 In casting the 550 pound, seven foot tall posts, Fireart took great care to preserve the surface tool marks from the carver's original full size wood model. 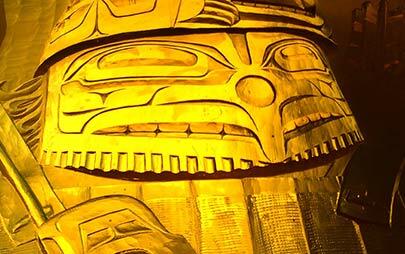 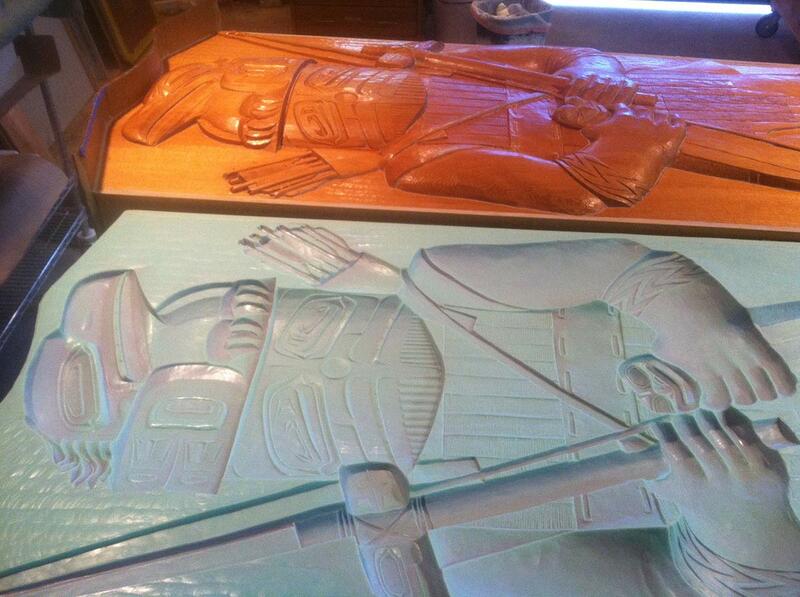 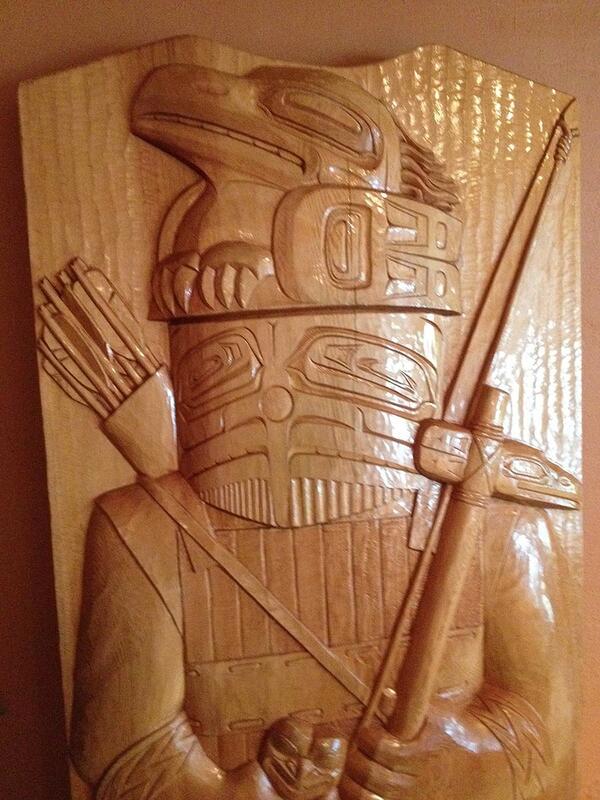 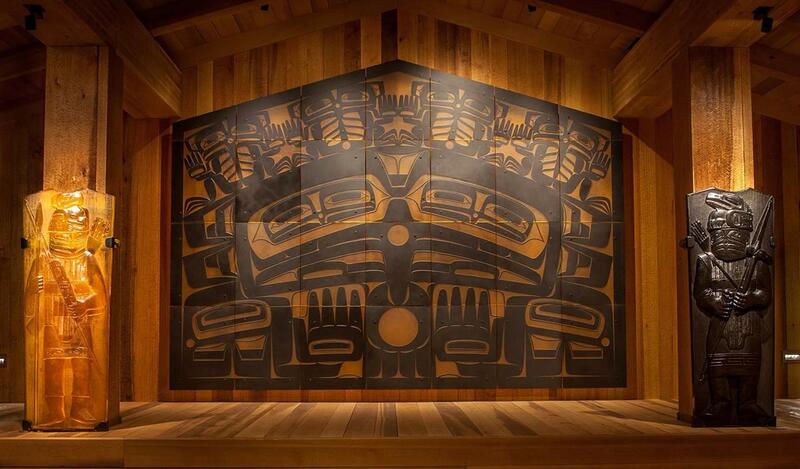 Clan House marks a high point in years of collaborative work with this outstanding artist. 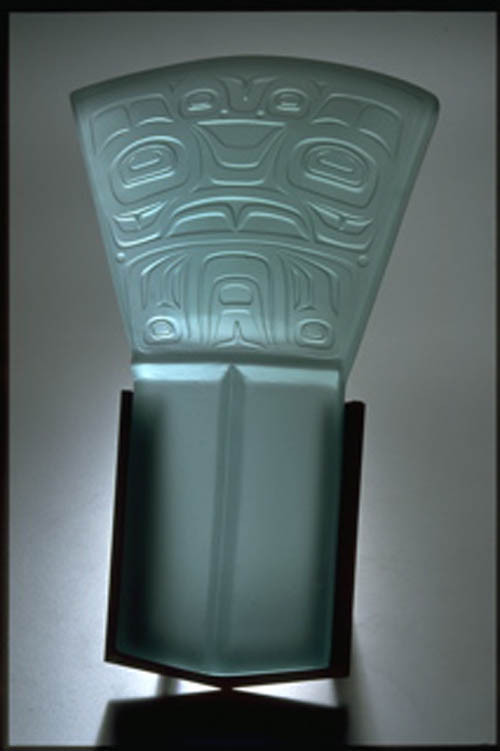 It was included in his one-man show: Echoes, Fire and Shadows at the Museum of Glass, summer of 2009. 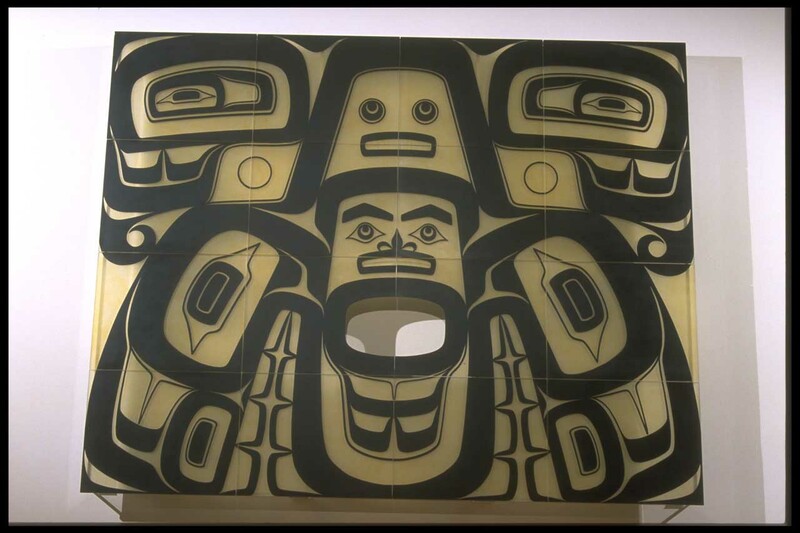 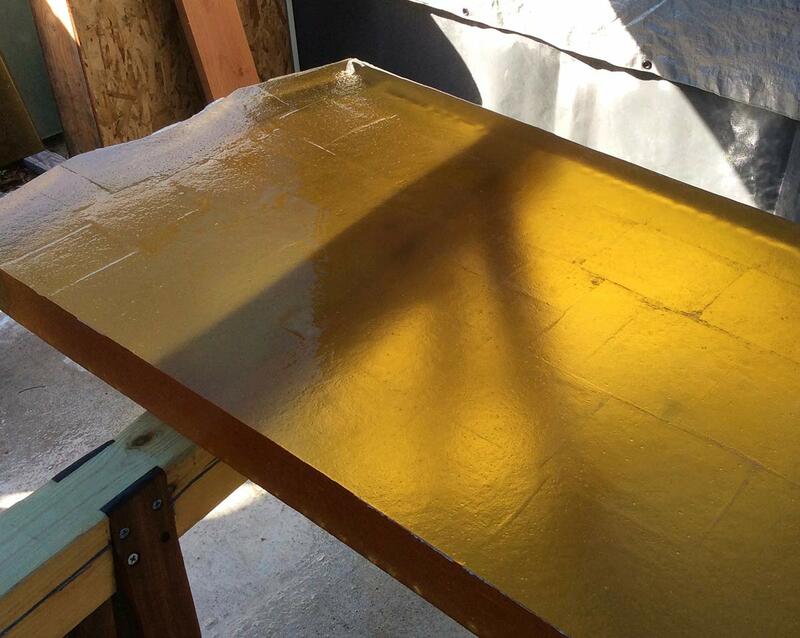 Dimensions: 16' x 10' x 2.5"